Spring is a great time of year to learn, collaborate and try to new things. I’ve put a couple of floral design classes on the calendar. 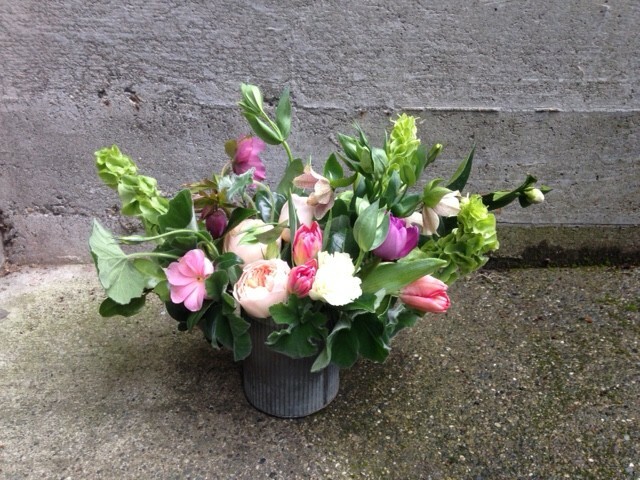 The joy of working with fresh flowers is infectious, and I hope you can join us! An array of sumptuous seasonal material will be gathered for a vase arrangement demonstration and discussion on tools, mechanics, care & basic design principles. Participants will then create their individual arrangements together. Classes will be held at our intimate Columbia City production studio, and up to 6 participants can be accommodated. Refreshments will be served! All are welcome. We’ll be working with fresh, fragrant material to melt her heart . . .
Bouquets wraps for $30 or $45 and vase arrangements for $75 and deluxe for $100 and up. 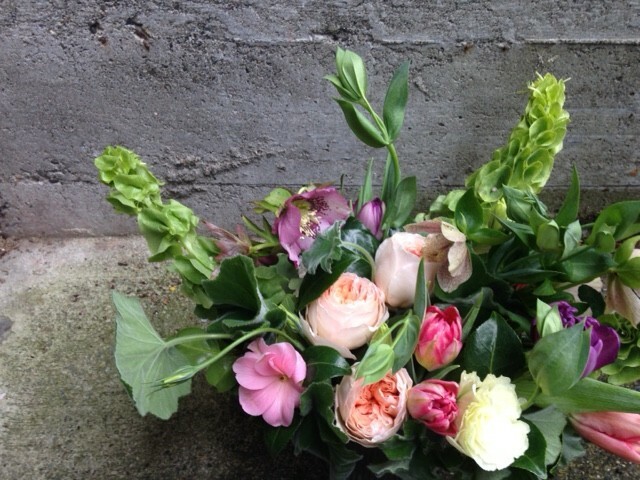 Peonies are available in vase florals. Card message included of course. Pick-up at our Columbia City studio, or delivery through Sunday 5/10 for + $10 to Seattle.